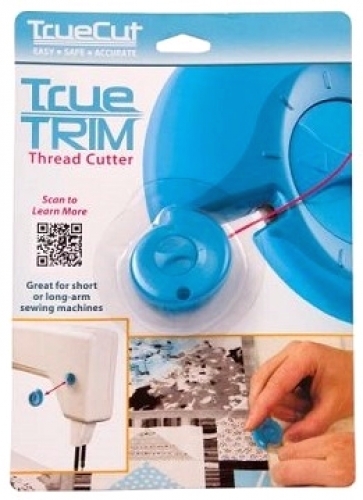 TrueTrim is the easiest way to add thread cutting capability to any sewing machine. Just attach the adhesive mount anywhere on your sewing machine. The cutter itself can easily slide from the mount to use directly on your quilt, or kept on the machine to cut the thread that holds one or more fabrics together. 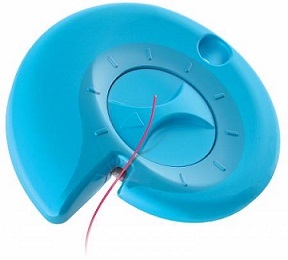 With a dial on the outside, you can rotate the 18mm blade to ensure that you will always have a sharp edge as you are trimming the thread.